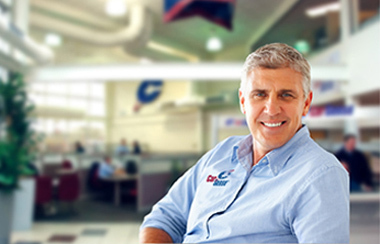 At CarSense, we treat our people in the same friendly, caring way our people treat our customers. Our forte is building rapport, listening to our customers and helping them find exactly what they need…and the result is excellent sales volume. We are always looking for motivated, out-going professionals with management skills to fill our auto sales jobs. The associates in our automotive management jobs excel because we are a company with GREAT values! Unlike what one frequently finds in our industry, our company is built on core values where we want only the best for our customers and our employees. We are seeking highly ethical, team oriented people for our auto sales manager jobs that have a passion for excellence and love to help people through a relational, consultative selling approach. We strive to put our customers’ needs ahead of the priority of selling a product or service which is the cornerstone of our success. Employees in our automotive management jobs enjoy paid vacations, profit sharing, 401k and health benefits as part of our compensation package. Team-work is the name of the game at CarSense. We are looking for applicants for our auto sales manager jobs to have a servant mentality and be ready to do what it takes to help each other and our customers. If you believe you are a fit for one of our dealership manager jobs, what are you waiting for? Are you looking for auto sales jobs that will push you to excel? Join our Talent Network today and put yourself in the driver’s seat towards an amazing career! We currently do not have any openings for Automotive Management Careers at CarSense. If you join our Talent Network, we will email you as soon as similar jobs become available.